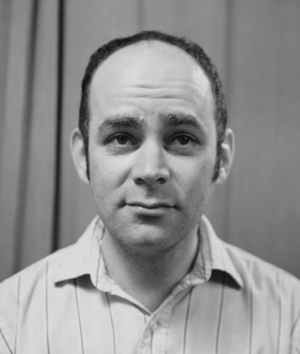 Todd Barry was born on March 26, 1964 in the Bronx of New York. Though Barry was born in New York, he grew up in Florida. He graduated from the University of Florida with a degree in English, in 1986. He had his first Comedy Central Presents in 1999 and has done multiple late night appearances on shows such as ‘Jimmy Kimmel Live’, ‘Late Show with David Letterman’, and ‘Late Night with Conan O'Brien’. He has been in multiple television shows and films and he has even written, directed, and starred in his own short film, “Borrowing Saffron”, which was released in 2002. At this point in Barry’s career, he has released six comedy specials, with his most recent, “Spicy Honey”, releasing on Netflix just last year. That same year he also released a book called, “Thank You for Coming to Hattiesburg”. This week, Kaizen Komedy looks at the work of Todd Barry. Barry often focuses on the things of his everyday life that frustrate him, regardless of how small or trivial they may be. He brings these frustrations to life through on stage dialogues, using absurdity to amplify his points. All of this is delivered in a low energy performance that perfectly matches the mundane nature of his subjects. Barry is an absolute pro and is as strong at working the crowd as he is at crafting a joke. Bits: Just For Laughs 2003 Todd Barry, Coke vs Pepsi, Coffee.